Ex-medical bosses, influential businessmen and relatives of lawmakers are involved in the syphoning of “Hristo Botev” Hospital in Bulgaria’s northwestern city of Vratsa. Companies associated with them duplicate the hospital’s activities under the model “hospital in the hospital” while operating it with public procurement funds and hindering its reforming by using government resources, an investigation by Bivol has found. The financial problems of the bankrupt “Hristo Botev” Hospital – Vratsa, where staff have not received wages for months, have begun a long time ago, but its ruin in favor of a well-discernable “circle” of companies has started even prior to that. In the distant 2000, hospital and outpatient care were separated within the framework of the health reform. In Vratsa, the hospital care was assigned to the “Hristo Botev” Hospital – Vratsa and to the former municipal post-hospital care clinics that do not overlap the activities of the multispecialty hospital. The outpatient care was concentrated in the newly established company Diagnostic Advisory Center (DCC 1), which still exists today and is a 100% municipal company. During this time, the Director of the Regional Health Insurance Fund (RHIF) was Dr. Alexander Semkov, while Dr. Sonya Sabotinova was his deputy. The role of the Fund is crucial to the financing and survival of the companies in which both the hospital and outpatient care facilities had been transformed. At the end of December 2000, the private medical center “St. Anna” was registered with outpatient care as its primary activity. Even then, there were rumors in medical circles that this was RHIF’s private medical hub. This is confirmed by documentary evidence. Its owners include Angel Tsenov Simeonov (34.2% of the capital), Antoaneta Nikolova Georgieva (25.0%), Venetka Mladenova Kamenova (25.0%) and Velichko Dimitrov Georgiev (15.8%). Venetka Mladenova Kamenova, born in 1934, is the mother of Aneta Trifonova Semkova, wife of the director of RHIF-Vratsa, Alexander Ivanov Semkov. Simply put, the mother-in-law of the boss of the RHIF held a quarter of the shares in a private medical center. In 2010, the elderly mother-in-law sold her share to Dr. Semkov’s son Ivan Aleksandrov Semkov, who remains co-owner of “St. Anna” to date. Velichko Dimitrov Georgiev is from the capital Sofia, his wife is named Zoya Ivanova Georgieva with maiden name Zdravkova. She is the sister of Yanko Ivanov Zdravkov, who at that time was an expert at RHIF. Remember this name. The RHIF boss Semkov and the expert Zdravkov have direct and lasting common business interests. They are co-owners of the company “Monada”, and in 2010, they were co-owners of “Iris BG”, which is now known as “Iris Properties. Angel Tsenov Simeonov is an influential local businessman and Antoaneta Nikolova Georgieva is the woman he cohabitates with. It is claimed that over the years no boss of the State hospital had been appointed without Simeonov’s blessing. In addition to healthcare, he has food supply companies, solar parks and a construction business. His company “Kamba – 2000” has earned BGN 7,878,503 just from supplies of food for municipalities and hospitals in the Vratsa Region, data from the Public Procurement Agency shows. According to medical doctors’ direct eyewitness accounts, Alexander Semkov and Yanko Zdravkov had been personally involved in repairing the premises of the new medical center, even painting the offices. The competition had been attracting the specialists. With the creation of “St. Anna”, doctors started leaving the hospital to join the outpatient care there. The late Dr. Dimitar Prokopiev, the first manager of DCC 1 (the municipal center for outpatient care) had been one of the “casualties” as he had lost part of his team. In 2002, “Hristo Botev” Hospital – Vratsa established and registered its medical center for outpatient care as a subsidiary of the joint stock company. Its name was Medical Center (MC) “Hristo Botev” with the late Dr. Ivaylo Valev, appointed by the then board of directors of the hospital for manager. This medical center was registered as a medical institution for outpatient care by the then-Regional Health Center (RHC) without any problems. It had specialists in more than 20 clinical fields. The activity had been licensed through the heads of departments in the general hospital. The aim of the establishment of the “Hristo Botev” MC was to close the circle of pre-hospital and hospital care for the benefit of the “Hristo Botev” Hospital, as well as the patients to have easy access to the leading specialists from the hospital and from the outpatient care. Last but not least, the hospital’s medical doctors wanted to be able to work overtime. This whole cycle should have concentrated the revenues at the “Hristo Botev” Hospital – Vratsa, but obviously, this had not been profitable for the private competition. And it had an important trump card through its control of RHIF. The latter refused to conclude a contract for the center’s activities. The reason – there were enough outpatient medical care operators in Vratsa. We recall that at that time the Director of RHIF – Vratsa was Dr. Alexander Semkov, the same, who through his mother-in-law had interests in “St. Anna” Medical Center and the decision to eliminate the potential competition by the State hospital is a serious conflict of interest. Asked by phone about this conflict of interest, Dr. Semkov replied that he did not want to talk about “healthcare”. In June 2004, Dr. Volodya Borisov Petrov became the head of the hospital. He had previously worked as an obstetrician-gynecologist at the “St. Anna” Medical Center. Dr. Petrov has made “Kamba – 2000” the supplier of products and food for the hospital’s kitchen. Partners in this company were Volodya Petrov’s former boss from “St. Anna” – Angel Simeonov (40%), Nikolay Kotsov Ivanov (40%) and Nikolina Ivanova Simeonova (20%). Only for the period 2007 – 2014, for which there are data about public procurement orders by the “Hristo Botev” Hospital, the hospital has paid “Kamba – 2000” over BGN 3 million. Volodya Petrov is also remembered with the realization of an energy efficiency project, won by the previous hospital director and worth EUR 400,000. This director, however, told the media that the hospital had won a project worth EUR 253,000. No one asked at the time where the rest of the money was because the then-Minister of Energy Milcho Kovachev had signed the contract. It is not known whether the prosecution has ever inquired about the fate of this money – the difference of EUR 147,000. The money has been used to replace the window frames of “Hristo Botev” Hospital – Vratsa, but there has been no external insulation, which was the other goal of the project, as the funds had proved insufficient. At that time, the late Vojislav Kirov Boubov – called by his fellow party members “the builder creator” – was the Mayor of Vratsa. He was the person who oversaw all repair works. In 2005, the government of the party National Movement for Salvation of Bulgaria (NMSB) of former King and Prime Minister Simeon Saxe-Coburg was replaced by the government of the Three-Party Coalition. Sergei Stanishev, then-leader of the Bulgarian Socialist Party (BSP) became Prime Minister and the former BSP head of the municipal council of Vratsa Dr. Dimitar Nikolov Gandev became Member of Parliament (MP). The other coalition MP from Vratsa was Toma Yankov Tomov from the “Roma” political party. Tomov was investigated by the prosecution in 2007 for crimes committed in his capacity as prosecutor in the town of Oryahovo, but he managed to escape legal charges due to his lawmaker immunity. With the change of government came the next replacement of the executive director of the hospital. In 2006, Dr. Volodya Petrov was replaced by Dr. Vladislav Ivanov. He, like his predecessor, had worked at “St. Anna” Medical Center but as a general practitioner. In 2006 Dr. Sonya Sabotinova was discharged from the post of Director of RHIF-Vratsa, but she had not remained jobless for long and was appointed Deputy Director of Medical Activities at “Hristo Botev” Hospital – Vratsa. The business with private outpatient care in Vratsa had been obviously going well and its originators had decided to step into the hospital sector as well. In 2008, the “Viva Medica” Hospital was registered, with headquarters on 17 “Democracy” Blvd., where the “St. Anna” Medical Center is located. The owners were five people, including the well-known individuals from “St. Anna” Medical Center – Angel Tsenov Simeonov (45%), Antoaneta Nikolova Georgieva (15%) and Nikolay Angelov Nikolov (10%). Dr. Nikolay Angelov Nikolov was named by Dr. Vladislav Ivanov as his replacement as a general practitioner at “St. Anna”, taking over his practice. Previously, Dr. Nikolov had been an epidemiologist at the local Epidemics Institute. Dr. Nikolov is still a general practitioner at “St. Anna” Medical Center. The other two owners, with 15% each, were Kalin Ventsislav Angelov, then about 26 years old from the town of Krivodol, now orthopedist in Sofia and Dr. Ivelin Simeonov Hayvazov, who has a joint orthopedic practice with Dr. Georgi Komitski. Currently (in 2018) Dr. Komitski has a joint orthopedic practice, which includes Dr. Kalin Ventsislavov Angelov. Years later, Dr Georgi Kommitski married the niece of Dr. Yanko Zdravkov. In fact, to this day, Angel Simeonov and his partner in life control 60% of the capital of the private hospital. In 2009, a contract was signed for renting a building belonging of the hospital “Hristo Botev” – Vratsa to the hospital “Viva Medica”. At the same time, repairs were carried out at both hospitals. In the private hospital, however, the repair works were spectacular. The subcontractors had been companies close to the then-MP Toma Tomov. There were even repairs of the roof of the multispecialty hospital, which has been repaired a few years earlier after an emergency due to a heavy winter. One of the people who had been intensely interested in how the repairs of the private hospital had been going on was Toma Tomov’s colleague – MP Dr. Dimitar Gandev. In 2009, Dr. Vladislav Ivanov was replaced as Director of the “Hristo Botev “Hospital by Orlin Tsvetkov, also a former employee of the RHIF-Vratsa. Dr. Sonya Sabotinova, however, remained Deputy Director of Medical Activities. She also retained her post under the new government of the center-right party Citizens for European Development of Bulgaria (GERB) until the beginning of 2011, when “Viva Medica” started operations. At a general meeting of the shareholders, the board of directors was released from duties with gratitude. With the provision that the leadership and members had exhausted their ideas, a new board was elected. His Chair was Associate Professor Hristian Griva, Director of the National Center for Health Information at the Ministry of Health. The Deputy Chairperson was Dr. Aneta Semkova (wife of Dr. Alexander Semkov). In recent years, she has worked in the Directorate for Specialized Medical Supervision of the Health Ministry. After the building was repaired and an organization was set up, the “Viva Medica” hospital applied with the RHC to obtain a permit. This happened in the fall of 2010. The RHC’s conducted two inspections and established that “Viva Medicia” meets all regulation requirements. Thus, the documents and the opinions for permitting the operation of the “Viva Medica” Hospital were sent to the Ministry of Health on November 30, 2010 to obtain a permit from the Minister of Health. However, only two weeks later, on December 14, 2010, the amendment to the Medical Facilities Act became a fact. Its Art. 9, para. 6 states that private healthcare facilities, which are located on the territory of State or municipal hospitals, do not have the right to duplicate the activity of the State or municipal hospital. The “Viva Medica” Hospital had applied to open departments of surgery, orthopedics, anesthesiology and intensive care, and internal medicine. They all duplicate the structures and activities of the “Hristo Botev” Hospital. On December 30, 2010, Deputy Minister Mihail Zortev signed a permit for the operation of the “Viva Medica” Hospital, despite the fact that the law had entered into force 16 days earlier. Eight years later, on January 26, 2018, Zortev was charged with abuse of power because of this signature. According to the Prosecutor’s Office, the signature has caused damages of nearly BGN 13 million to the “Hristo Botev” Hospital. This is the amount that the Health Insurance Fund has paid the private facility for the performance of the activities that the State-owned one should have performed. But in order to end up with Zortev’s signature, at least 15 other people have signed to approve the permit as such documents are handled by an impressive number of directorates in the Ministry of Health. 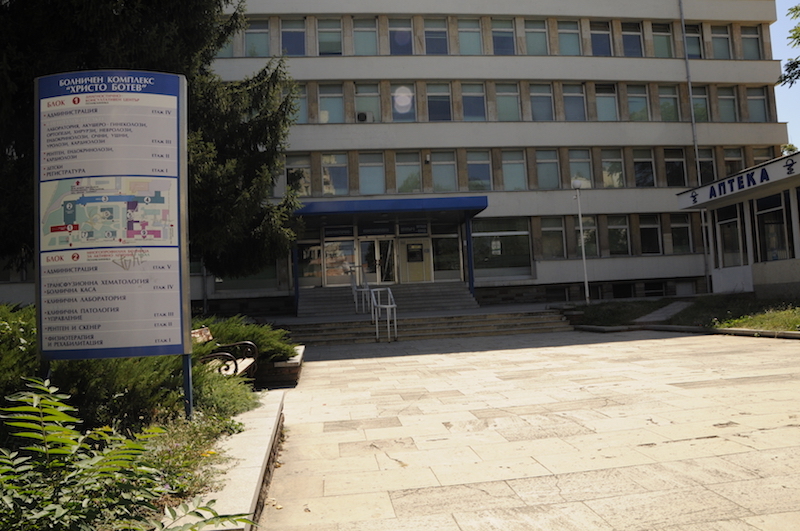 The questions arise as to why the Legal Directorate at the Ministry of Health and the Directorate of Medical Activities, among others, have not complied with the newly-enacted law, and also why the RHC Vratsa has failed to report that there has been a legal amendment that makes such permit impossible. So far, it became clear that interest in the private medical business in Vratsa had been manifested by the former MPs Dimitar Gandev and Toma Tomov, but they have not been the only ones. Incidentally or not, the modest team that founded in the distant 2000 the private clinic “St. Anna” Medical Center and later the private hospital “Viva Medica” has managed to produce two MPs and not only that as they have been from competing political parties, a check by Bivol reveals. In 2010, when Zortev placed the unfortunate for him signature under the documents for “Viva Medica”, the former humble expert from the RHIF – Vratsa, Dr. Yanko Zdravkov (son-in-law of Velichko Georgiev, co-owner of “St. Anna”) soared to MP from GERB. He remained a lawmaker only for one term, but his prosperity in the private sector is visible. Apart from the hospital business, he is active in the construction business and in fuel trade, according to a check in the Trade Register. In the meantime, Antoaneta Nikolova Georgieva’s brother – Rumen Nikolov Georgiev is currently an MP from the BSP. Thus, it turns out that the driving force of the private healthcare in Vratsa, the businessman Angel Simeonov currently still has a potential lobbyist in the National Assembly, though a member of the opposition. After the issuing of “Viva Medica’s” license, Dr. Sonya Sabotinova, turned from Deputy Director of “Hristo Botev” Hospital – Vratsa to an “informal” manager of the new private hospital. During this period, the problems at the “Hristo Botev” Hospital – Vratsa had already begun, the first delays in paying the wages of the workers had been a fact. Insider sources say that Dr. Sonya Sabotinova’s “escape” had been related to the poor financial condition of the hospital. It is a fact that Sabotinova does not rely just on her physician’s salary but is closely connected with the business circle around Angel Simeonov. In 2012, she bought from her former boss at the RHIF, Alexander Semkov, the company “Group Practice for Specialized Outpatient Medical Care Mediks 2012” and in 2016 she became the manager of the company “IAK 20” with Dr. Alexander Nikolov as co-owner. Only a year later, “Zov News” wrote that, despite its good funding from the NHIF, the private hospital is robbing its State-owned sister through doctors having two jobs and who are taking medical supplies and consumables from it to use them in their private practice. Therefore, the decline of the State hospital “Hristo Botev” is happening against the backdrop of the thriving of the private hospital in its own yard, with the latter having started operations in violation of the law, duplicating the activities of the public facility and becoming the darling of the Health Insurance Fund. In 2018, the Complex Oncology Center – Vratsa will be working with budget cuts of nearly 30%, which means that cancer patients from three regions are grossly deprived by the policy of the NHIF. In general, private hospitals enjoy the largest budget increases by the NHIF, while the largest cuts are at the expense of the municipal ones. After the above example with the unfortunate Vratsa hospital, this hardly comes as a surprise.